In the past, I have used software (both online and installed in my computer) that allowed me to do hair and cosmetic makeovers. As time marched on and technology moved forward, newer makeover software became available that was better than the older makeover software, as you would expect. Patio e-mailed me about new makeover software, Perfect365, that is even better because it is even newer (it was released in November). It is available for the Mac, iPad, iPhone, and Windows. The Mac and Windows versions are free. The iPad and iPhone versions cost $4.99 and $1.99 respectively. There is also a $39.99 "full version" for the Mac and a free online version that you can use with your web browser. Like other makeover software, Perfect365 allows you to experiment with a variety of options to achieve a new look or you can let Perfect365 do all the work by selecting its one-click option. The software is intuitive and easy to use. After trying out the software for an hour or so, I preferred to use the one-click option and then adjust individual parameters. For example, I might choose the "Glam" one-click option and after Perfect365 performs a “Glam” makeover automatically, I can change the color of the eyeshadow, change the shape of the eyeliner, etc. Perfect365 does not do hair, so if you are making over a male into a female, you will have to add a wig using Photoshop or similar application. The accompanying photos are examples of my handiwork, before and after using Perfect365. You may have just made Bruce Jenner's day with your makeover. As reported in a number of recent entertainment sites, his ex-wife indicates during her marriage he was a femulator with a sizable wardrobe. 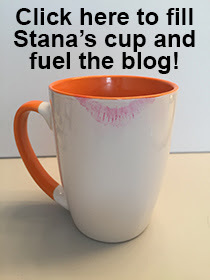 Nice use of the software, Stana. I'll be buying Perfect365 as a result. Thanks! Looks like a good software for touchups! There is another one which I have used in the past (trial version), and it gives a lot of controls as well. It is called Portrait Professional (http://www.portraitprofessional.com/). Check it out when you have time. Wow. Does it give step-by-step instructions to help you do it for real? Meg --- Sorry - no step-by-step instructions.